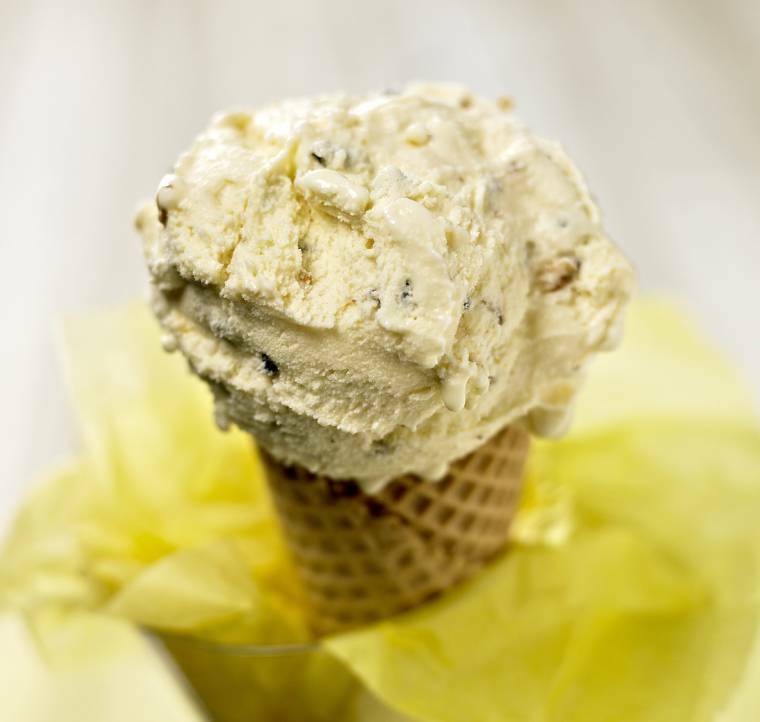 Now the weather is beginning to get a little warmer, we’re looking for ways to cool down and what better way than with a delicious ice cream. 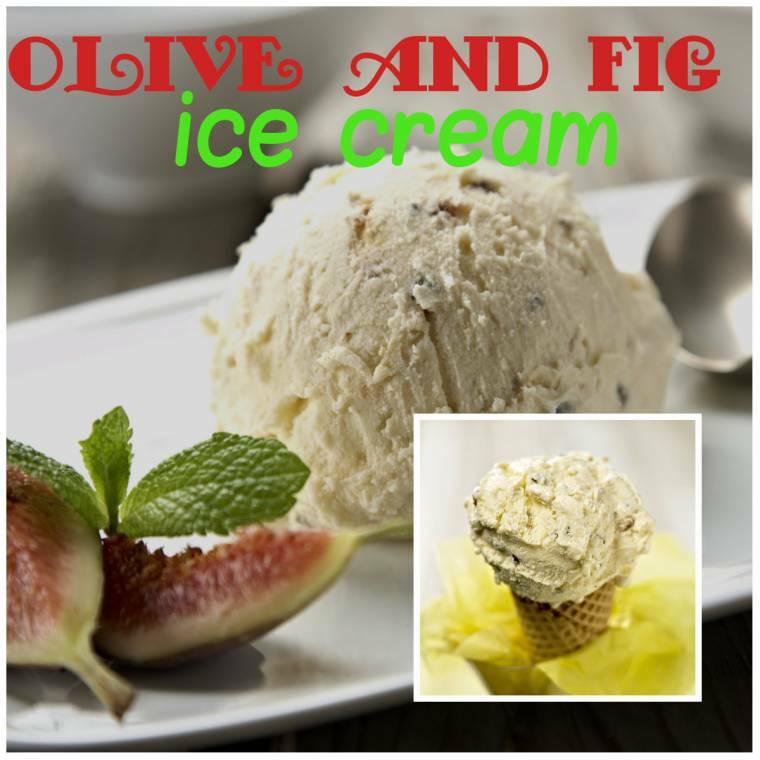 If the usual vanilla, chocolate or strawberry don’t take your fancy, then why not try this recipe for olive and fig ice cream from the leading Spanish olive and Mediterranean food brand, Fragata. 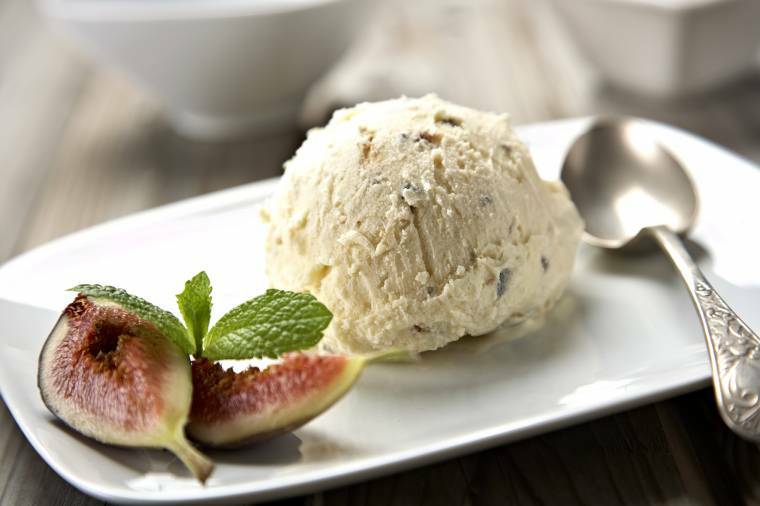 The ice cream is incredibly creamy and flavoursome and can be served in a variety of ways. It makes a brilliant summer starter, perfectly complements almost any dessert, fruit salad or simply enjoy in a traditional cone! Place the olives in a bowl with enough water to just cover them. Leave for a couple of hours. Sweeten the olives by placing a pan on a medium heat with 1 1/2 cups of water, juice of 1/2 an orange and 3/4 cup of sugar. Bring to the boil over a medium heat, while stirring. Take the pan off the heat and allow the olives to cool. Strain and drain the olives, then chop finely. Chop the figs when softened. Add milk and vanilla extract to a pan and bring to a medium heat. Use a ladle to slowly add the heated milk into the creamed eggs and sugar, whilst continuously whisking. Once all the milk has been added to the egg/sugar mixture, pour back into the pot and stir the ice cream base with a wooden spoon over medium heat, until thickened. Allow the base to cool for at least four to five hours. When the ice cream has sufficiently cooled insert it into your ice cream maker. Churn for around 25 minutes. Add the chopped figs and olives. About this post -This is a guest post from Fragata. No payment was received. "Wordless Or Not So Wordless Wednesday Blog Hop…"
I love funky flavors like that! Sounds delicious, will have to try this one.